Autumn Term is well underway, and we have a busy fun packed programme allowing Scouts to learn and experience several new skills. Term started with a cooking evening. Instead of the usual pancakes, Scouts cooked vegetable pizzas from raw ingredients even making the bases. Over the Summer we were lucky to have a large number of 9ft wooden poles donated to the troop. As part of a big structure pioneering evening, Scouts built and raced chariots and then constructed a giant see-saw on the Rec! 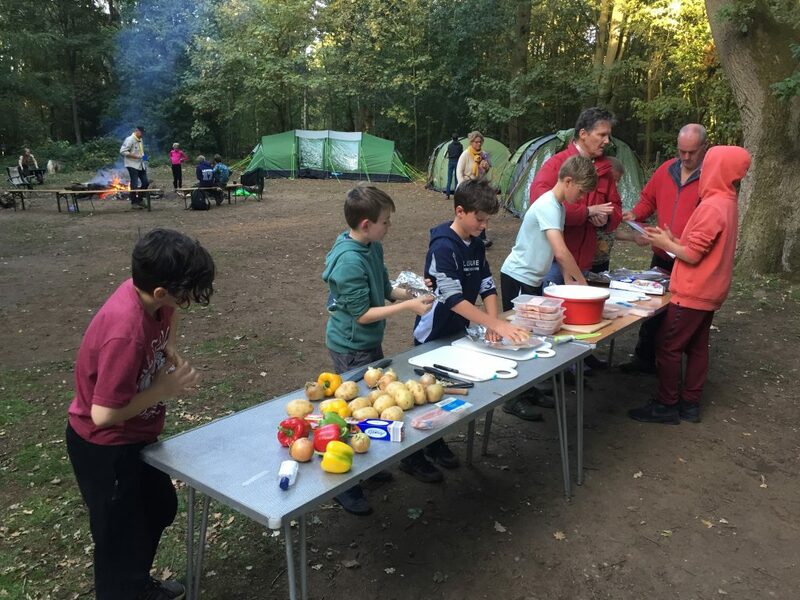 Making use of the last of the light evenings, Scouts took part in a night navigation hike from Knowl Hill to the Kissing Gate, and on another Monday enjoyed cooking in Bowsey Woods. 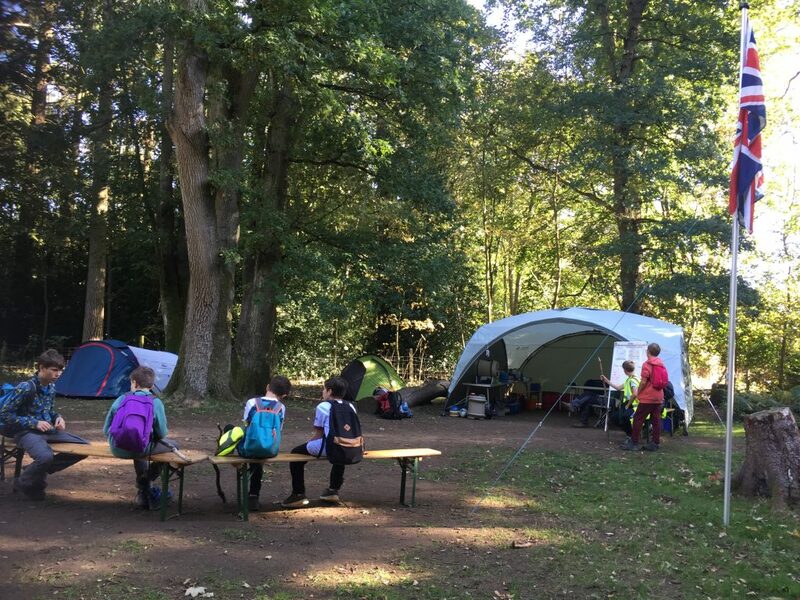 The highlight of the term so far was our Summer Camp which this year took place at the end of September at the Youlbury Scout Activity Centre near Oxford. 15 Scouts worked in 3 teams sharing all food preparation, cooking and washing-up. Some of the new Scouts mentioned that this camp was the first time they had ever done some of these tasks! 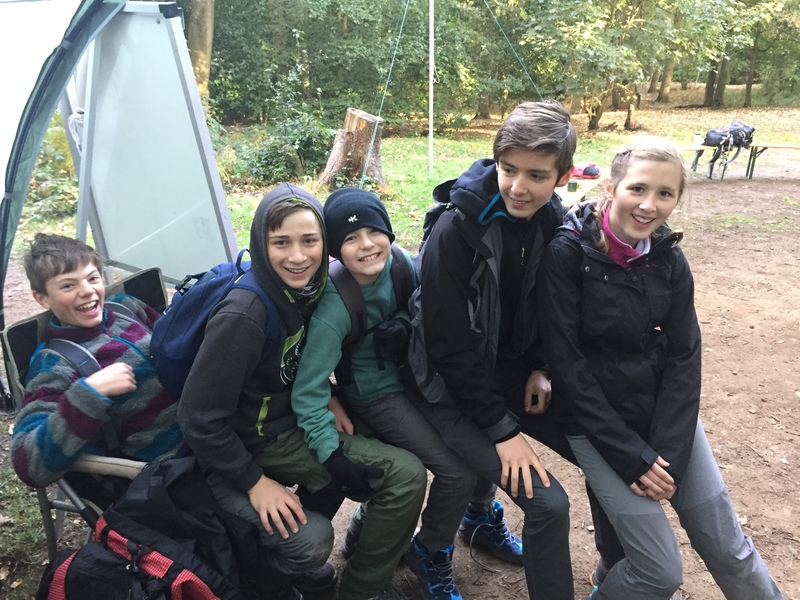 Other activities included Jacobs Ladder, Axe and Tomahawk Throwing, as well as a 16km day hike to Farmoor Reservoir and back along the River Thames. Just before half-term we held an International Evening as part of the World Challenge Badge. 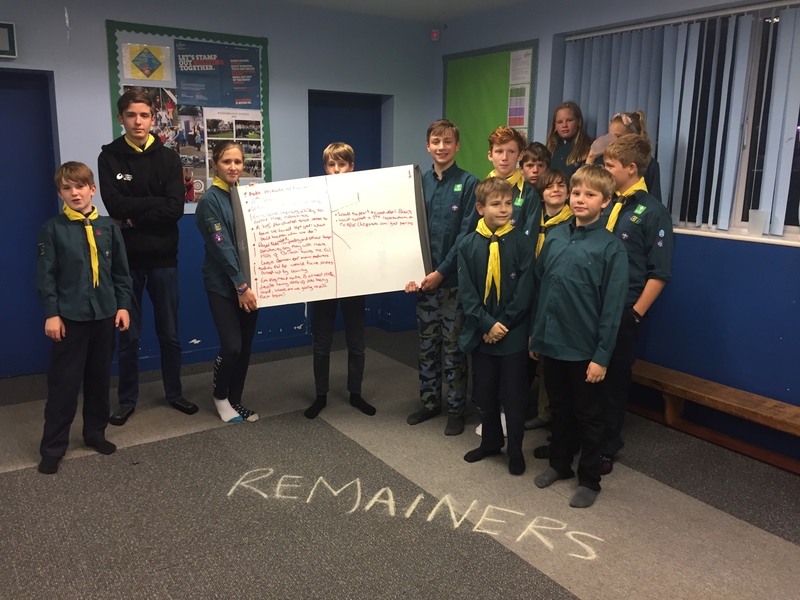 The Scouts debated Brexit. It was interesting to hear the view of 10.5 to 14-year olds as they presented back their own understandings of the advantages of “Leaving” or “Remaining”. Later that evening we welcomed back Daniel Dowling and Thomas Hicks both ex-1st Wargrave Scouts now at Loddon Explorers. Daniel and Thomas have been selected to take part in the Berkshire Scouts Project Africa. This involves spending 3-weeks in Uganda next July as part of a team building a new school classroom. We wish both of them all the best with what will be a great life-learning challenge and adventure! Later this term our programme includes a Halloween Frite Nite, DIY, Sewing Skills and Christmas Craft evenings, a review of Personal Challenges that Scouts set themselves last term, and a Dragons Den exercise. At this time of year Wargrave Scouts supports several key village community activities including organising Wargrave Fireworks on Saturday 3rd November and participating in the Remembrance Day parade and service on Sunday November 11th. In December, Scouts will also sort and deliver the Wargrave Village Christmas Post. 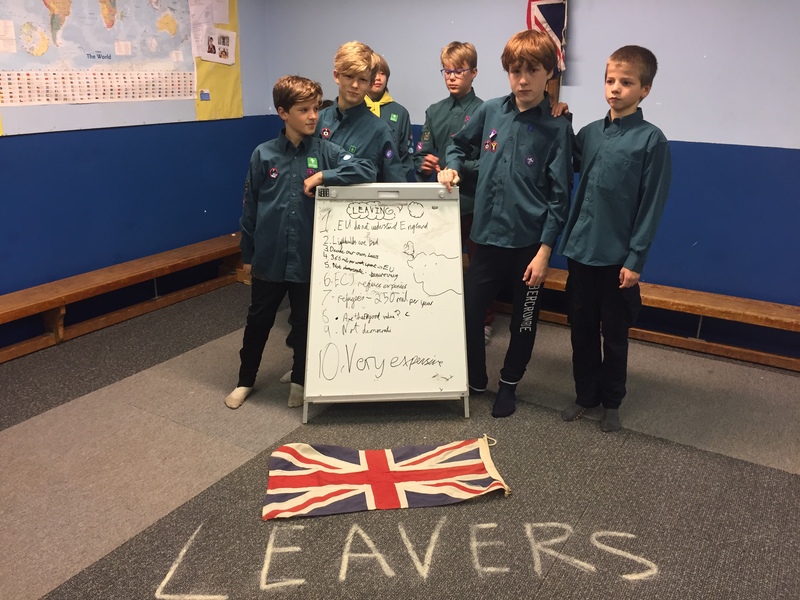 Over the next 3-18 months we have a large number of Leaders retiring and moving-on from Beavers, Cubs and Scout sections. This means that we will be looking for a new team of parent volunteers to come forward to maintain Scouting in the village. We are also on the lookout for villagers to join as trustees on our Exec Committee which organises social events and maintains our charity finances. If you have some spare time and are interested in providing young Wargravians with the opportunity to experience the outdoors – helping them grow and develop skills for life – please do visit our website www.wargravescouts.org. In the first instance Email: gsl@wargravescouts.org or speak to Pete Fry the 1st Wargrave Group Scout Leader.